Invacare IVC 9000 SL Lightweight Wheelchair is a perfect high-strength and durable wheelchair for those who want quality and durability at a moderate price. It has a contemporary design and high-performance frame which gives it a superior value. 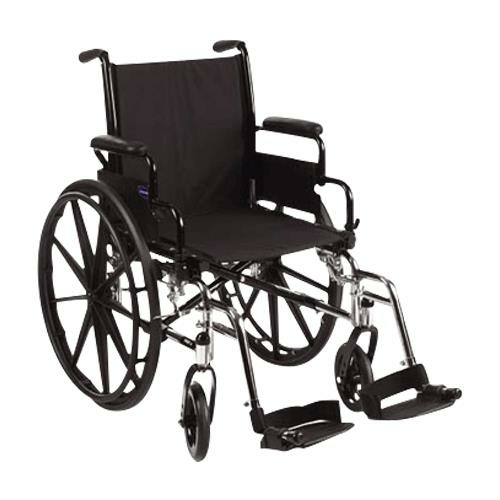 Invacare 9000 SL Wheel chair features dual axle positions to allow variations of seat-to-floor heights. NOTE: Image shown is for illustration purpose only. Buy this product and earn 13 Reward Dollars. How To Operate Invacare 9000 SL Wheelchair? Tilt the wheelchair towards you (raising the opposite wheel and caster off the ground/floor). Place your hand on the top of the seat rail closest to you where the seat upholstery is attached. Point your fingers and thumb to the inside of the wheelchair. 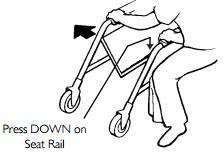 Press downward on the top of the seat rail until the wheelchair is fully open and the seat rails are fully seated in the H-blocks. 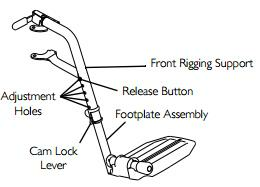 Engage both wheel locks, open the footrest/legrest for clearance and transfer into the wheelchair. Unlock the armrest by flipping the height adjustment lever on the top front of the armrest to the up (horizontal) position. Adjust armrest to one of five positions. 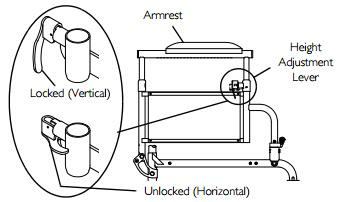 Lock the armrest by pressing the height adjustment lever into the down (vertical) position when the desired armrest height is achieved. Repeat Steps 1-3 for other armrest. Remove the front rigging assembly. Pull the cam lock lever up to unlocked position. Push in the release buttons and reposition the footplate assembly to the desired height. Ensure that the release buttons fully protrude from holes on both sides of the front rigging support. Rotate cam lock lever down to locked position. Repeat this procedure for the other footplate, if necessary. Reinstall the swing away front rigging assembly. How To Clean Metal Surfaces of the Invacare 9000SL? can you get rear anti-tippers for this chair? Sorry we cannot provide anti tippers for the chair. For this chair does it have a removable hammock seat? The 9SL wheelchair goes out standard with black nylon upholstery and 8 screws that would have to be removed to take off the upholstery. Do the armrests come off for easy transfers? Also, are the footrests removable? Must have both for this wheelchair. Thank you. The arm rests are not removable. The front riggings may be taken off if purchased.